For the 13th time in succession readers of the German “Off Road” magazine have voted the Mercedes-Benz Unimog the best off-road vehicle of the year in the “special-purpose vehicles” category. The “Off-Road Vehicle of the Year” poll had a total of twelve categories. More than 20 000 votes were cast, with 135 vehicles in the running. 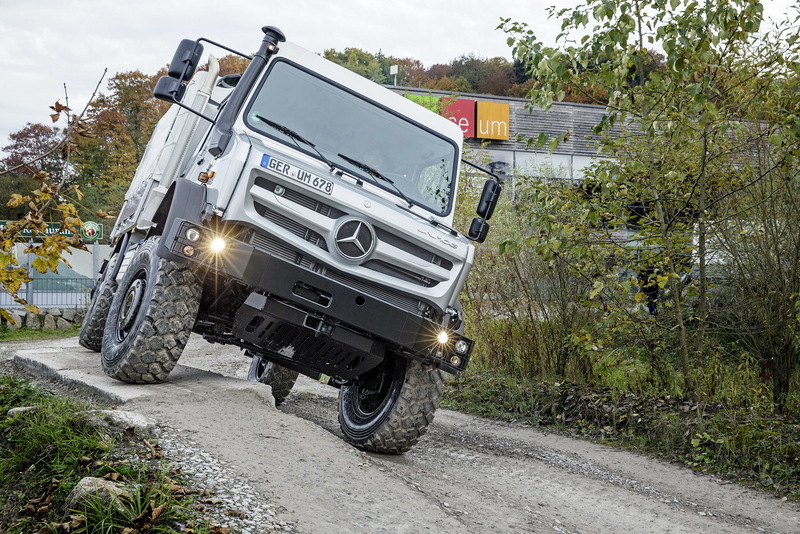 The Unimog took first place in the special-purpose vehicles category with a phenomenal 31.4 percent of readers’ votes. And they were all worth it. 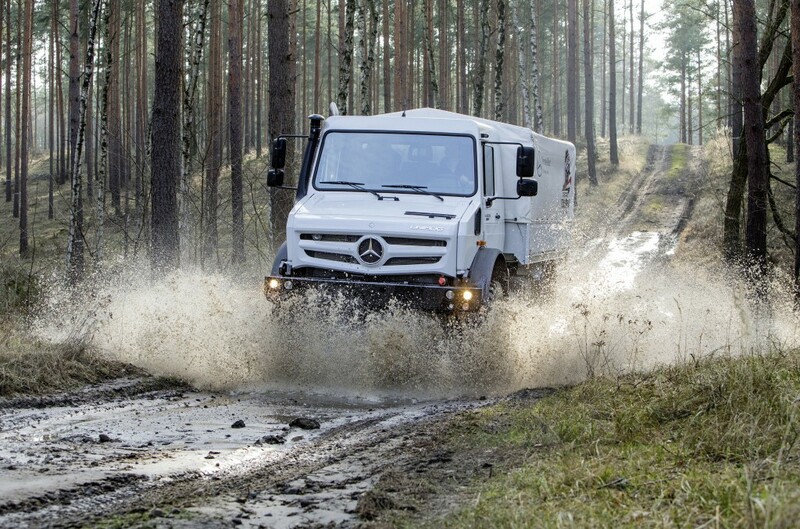 Whether it’s in the bone-dry Gobi Desert, in the Siberian taiga or on the hot volcano crater road on Vesuvius, there are few challenges that the Mercedes-Benz Unimog would not be capable of taking on. The extreme off-road model series enjoys particular popularity worldwide as an expedition vehicle. Axle articulation of up to 30 degrees, portal axles with ground clearance of up to 460 mm and gradeability of 45 degrees are hallmarks of these Unimog models with the type designations U 4023 and U 5023. Further features include a maximum fording depth of 1.20 m and a lateral inclination angle of up to 38 degrees. Driving in extreme situations with the all-wheel drive system engaged is supported by the selectable differential locks and the tyre pressure control system. The high-torque OM 934 LA Euro VI engine, a four-cylinder with 5.1 l displacement, 170 kW (230 hp) and 900 Nm torque, ensures reliability on the move. Eight forward and six reverse gears are available, and as an option also an off-road gear group for off-road applications in the 2.5 – 35 km/h speed range. Available alongside this extreme off-road Unimog is the U 216 to U 530 implement carrier model series frequently seen in municipal applications. It is also equipped with cutting-edge Euro VI engines with outputs of up to 220 kW (299 hp).